Photographs are keepsakes that people treasure for a lifetime. Ensuring that they will be kept in good condition throughout the years is important. Because photographs are printed on paper, there is no way to totally protect them from fire. There are some things that you can do to protect them, but they will never be totally fireproof. Copy your photographs. This could mean keeping a digital copy on your computer, using an online archiving service or taking your printed photographs to a photography center to have copies made. If you have copies made, store them in a safe deposit box. 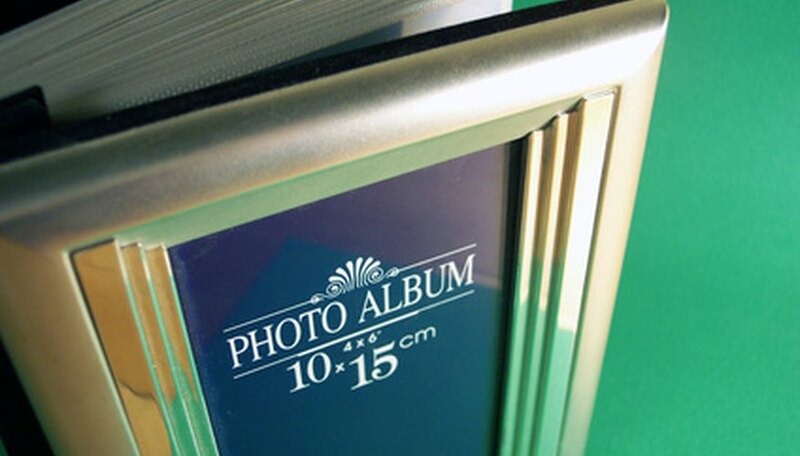 Store your photos or display them in frames and albums on paper that has an acidity level of 6.0 or above. This paper should be labeled as lignin-free. While this won't fireproof your photos, it will protect them from the many other elements that can ruin your photographs. Also, keep your photographs out of the sun and away from high temperatures. Purchase a fireproof safe. If you store your original photographs in the safe, they should survive a fire. The price can range from around $30 for a safe that would withstand a fire for approximately half an hour to several thousand dollars for a totally fireproof safe. Write on your photographs with an acid-free pen. Other types of pens can wear off and may wear through your photos. Take photos that need restoring to a professional rather than trying to fix them yourself. Use acid-free corner stickers instead of tape to attach your photos to albums or scrapbooks.